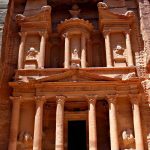 The Ancient Nabatean City of Petra in Jordan is no doubt the crown jewel of the kingdom’s historic treasures; but there is so much more to Jordan than that. The country is an archaeologist’s dream, filled with ancient and historic fortresses, castles, and more dating back from pre-historic and Biblical times thru Ancient Rome, and on to the region’s Umayyad Period. Biblical scholars can visit sites that are written in the Bible; The Dead Sea, The River Jordan, and the Sea of Galilee, just to name a few. Jordan’s natural beauty serves as a fantastic backdrop for all these historic and Biblical sites. For those looking for fun in the sun, nature hikes, or some pampering you’ll find all that and more at Jordan’s resorts, and nature parks. Indulge in massages and treatments at one of the luxurious Dead Sea spas or enjoy a hike at the Dana Biosphere Reserve or the Azraq Wetlands Oasis. Before you head south to Petra plan a stay in Amman, the capital city. 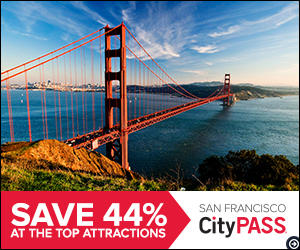 Explore the city and the surrounding areas, you won’t be disappointed. 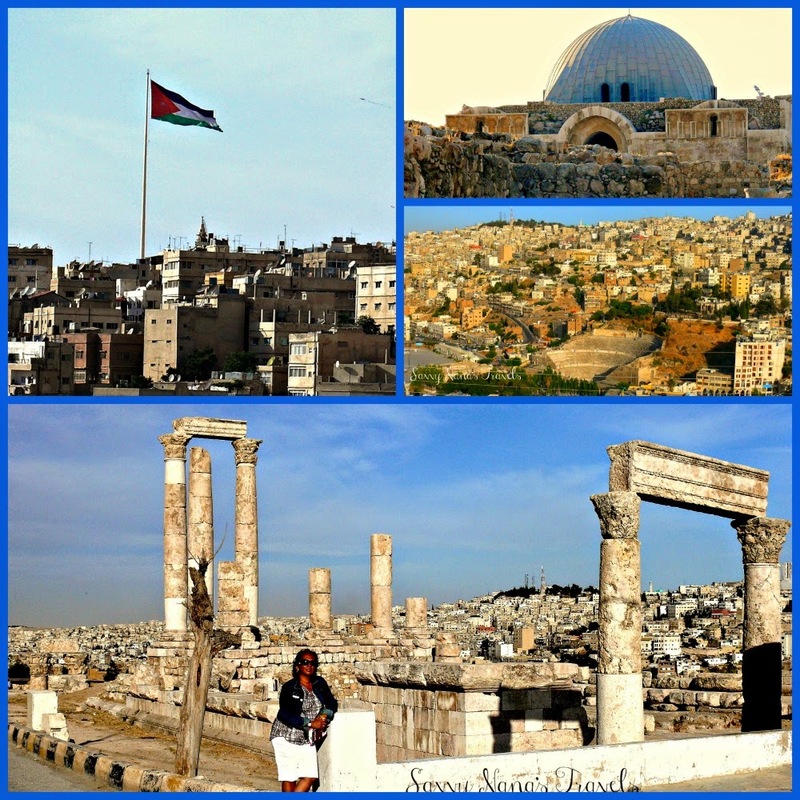 Originally built on seven hills or “Jebels”, Amman has served as the modern and ancient capital of Jordan. 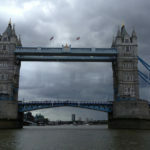 It is one of the oldest continuously inhabited cities in the world; recent excavations have revealed houses and towers believed to have been built in the Stone Age, circa 7000 BCE. There are many Biblical references to the city; around 1200 BCE it was the Ammonite capital of Rabbath-Ammon, the Ammonites fought epic battles with Saul, David, and other prominent Biblical figures. 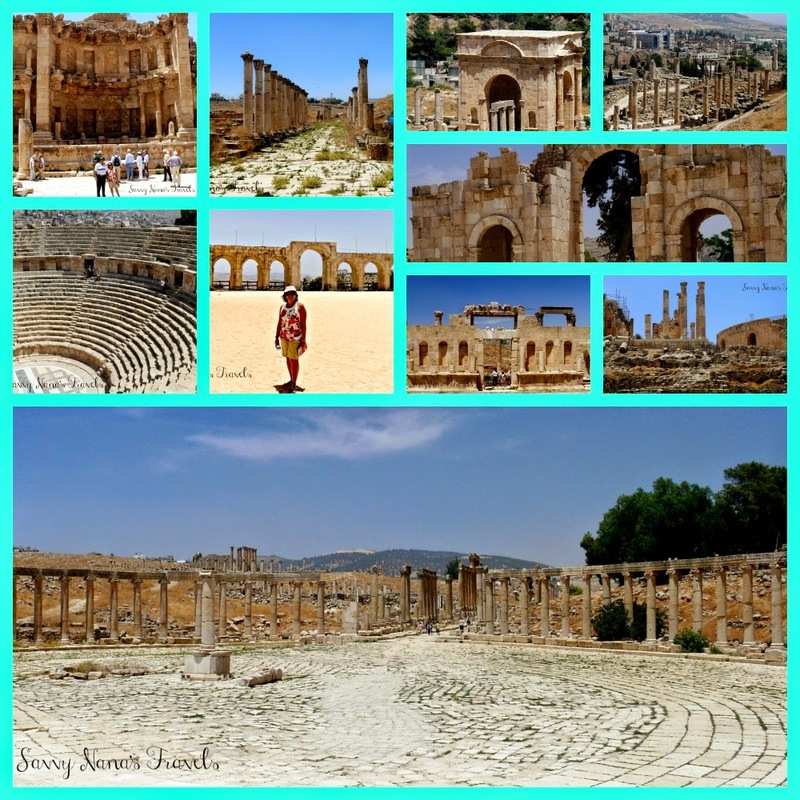 Here are some of my favorite sites in Amman and others that can be explored by taking day trips from the city; of course you can stay in those areas if you prefer to spend more time exploring a particular area. The best place to start a tour of Amman is at the Citadel. The Citadel sits on Jebel Al-Kala’a, Jordan’s highest hill. It is the site of the ancient city Rabbath-Ammon. During Roman rule Amman was renamed Philadelphia and was one of the great cities of the Roman Decapolis League. In the Byzantine Period it was the seat of a Christian Bishop. Arab armies regained the city around 635 and changed its name back to Ammon or “Amman” as it’s now known. The site is really a jumble of ruins with layers of structures and artifacts from the city’s different eras; Paleolithic, Neolithic, Bronze Age, Roman, Byzantine, and Umayyad. As you explore the quiet hilltop you can see cave entrances along the path, evidence of the site’s pre-historic inhabitants. The best preserved/restored structures are the Roman Temple of Hercules, The Umayyad Palace simply referred to Al-Qasr, and the Byzantine basilica. The hilltop also has an awesome view of the city. The Roman Theater built in the side of the hill in downtown Amman can be seen from the hilltop as well as the Raghadan Flagpole which is located on the grounds of the Raghadan Palace at the royal compound of Al-Maquar. The pole was erected in 2003 and was the world’s tallest freestanding flagpole at that time. The Jordan Archeological Museum is located inside the Citadel. It houses a collection of statues, pottery, and other artifacts dating back to the Paleolithic Age to the Ayyubid Period. 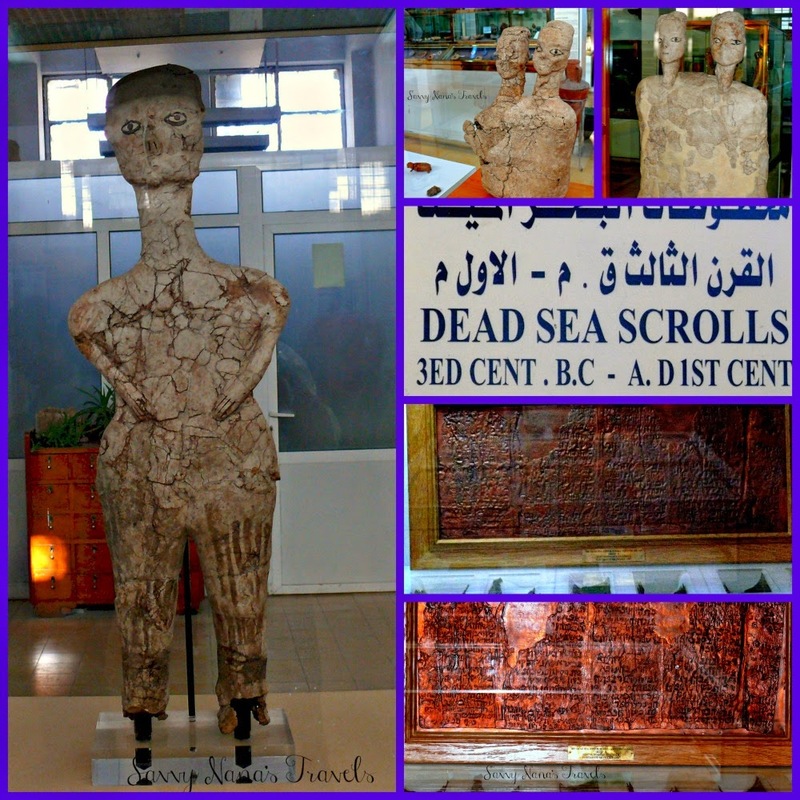 The Ain Ghazal statues are displayed in this museum, they are among the oldest statues ever made by human civilization. The museum housed some of the Dead Scrolls until recently when they were relocated to the new Jordan Museum in the Ras Al-Ayn Area next to the Greater Amman Municipality Building on Ali bin Abi Taleb St. Admission to the Archeological Museum is included in the admission to the Citadel. Jerash, the ancient city referred to as Gerasa in the Bible, is located less than 50 Km. north of Amman. It is considered one of the world’s largest best preserved Roman ruins outside of Italy. Evidence of habitation in the area dates back to the Neolithic Period, but the golden age of Jerash was during the Roman rule when it was known as Gerasa. In 1st. Century BCE Gerasa was named one of the great cities in the Roman Decapolis League, 10 cities that were linked to the Empire by powerful political, commercial, and cultural interests. Jerash is now an archeological park filled with well preserved Roman architecture; colonnaded streets, baths, theaters, arches, and plazas. Hadrian’s Arch and the Hippodrome are located before the park entrance and can be seen for free. The park is open daily in the summer from 7:30 am – 7:00 pm, and in the winter from 8:00 am – 5:00 pm. Entrance for foreigners is 8 JOD. The site is fairly large but can be seen in a few hours. You can pick up a site map at the Visitor Center at the park entrance. 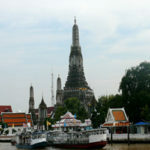 Here a the most notable sites you can look for as you explore this ancient city. Forum (Oval Plaza) – an unusual wide, asymmetrical plaza at the beginning of the Cardo (or Colonnaded Street), built in the 1st century AD. The Oval Plaza is 80 m by 90 m (262 ft by 295 ft) and is enclosed by 160 Ionic columns. The Cardo – a 600 m (660 yards) colonnaded street that runs the length of the city. It was once lined with the city’s major buildings, shops and residences. A complex drainage system lies below the stone paving. Look for chariot tracks in the stone. Agora – the city’s main food market, which has a central fountain. Nymphaeum – an ornate public fountain that was decorated with lions heads and dedicated to the nymphs. Temple of Artemis – impressive temple ruins dedicated to the patron goddess of the city. South Theater – an amphitheatre that seats up to 3000. It is occasionally used today for concerts and musical productions. 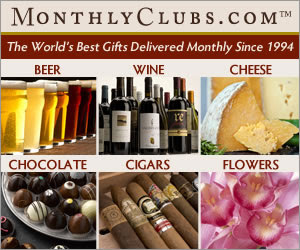 Daily features include bag pipers in traditional Jordanian military dress. Jerash Archaeological Museum – features a collection of artifacts found during excavation, including coins, statuary and sarcophagi. Qala’at al-Rabadh also know as Ajloun Castle is located in the town of Ajloun. Ajloun is located 25 Km. 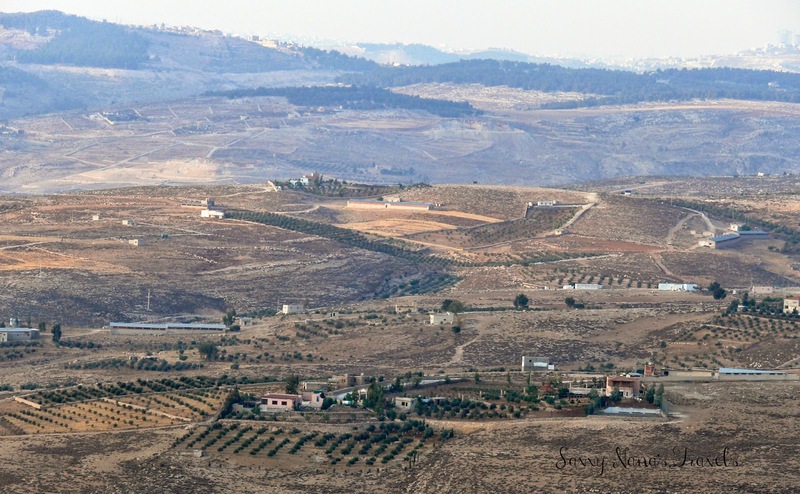 west of Jerash and 73 Km. from Amman. It can be a quick side trip on the way to or from Jerash. 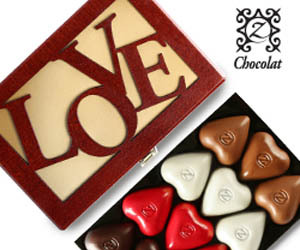 The site is open every day during daylight hours and can be entered free of charge. Qala’at al-Rabadh is actually a fortress built on the hill above Ajloun by Saladin’s nephew in 1184-85 CE to combat the Crusaders. Its strategic location gave the defenders command of the Jordan Valley and today offers amazing views of the surrounding area; on a clear day you can see the Dead Sea, Jordan Valley, West Bank, and Lake Tiberias (Sea of Galilee). Umm Qais located 120 Km. north of Amman, and 30 Km. from the city or Irbid, is one of my favorite sites in Jordan. The site seems a bit forlorn and neglected, the signs sparse and fading, and chunks of ruined columns and buildings line the once majestic decumanus (colonnaded street). At the entrance you will see some tumbled down ruins of Umayyad structures, rising right behind them are ancient Roman columns. A large portion of the Roman Theater still remains. Made of black basalt stones the theater is entered thru a vaulted passageway that supports rows of seats. Across the theater is the main colonnaded street which probably also served as the city’s commercial center. Near the theater is the Terrace which has a courtyard, church, and basilica from the city’s Byzantine era. Along the decumanus are the ruins of the Nymphaeum, a bath complex, and a well preserved Roman Mausoleum. Further along you can possibly make out the remains of what was once the Hippodrome. There’s a small museum on site which houses some Byzantine mosaics and the marble statue of Tyche which once sat in the VIP section of the basalt theater. The ruins may not be too impressive, but the view from the site is well worth the trip. There’s a restaurant built in what was once an Ottoman structure, the outdoor seating offers magnificent panoramic views. You will be sitting at a table in Jordan admiring views in 3 bordering countries; Lake Tiberias (The Sea of Galilee) in Israel, the valley of the Yarmouk River across which is the southern end of the Golan Heights (claimed by and is recognized as Syria), and on clear days Mount Hermon which borders Lebanon is visible in the distance. The views are both breathtaking and heartbreaking. Admission to the site and museum are free. 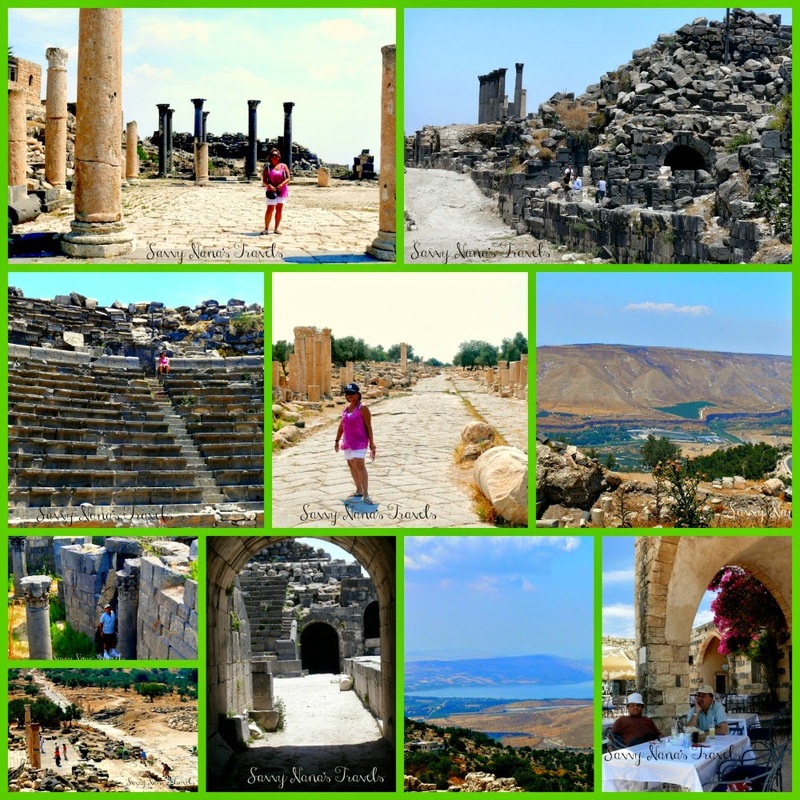 You can easily combine a day trip to both Jerash and Umm Qais as each site will take just a few hours to see. 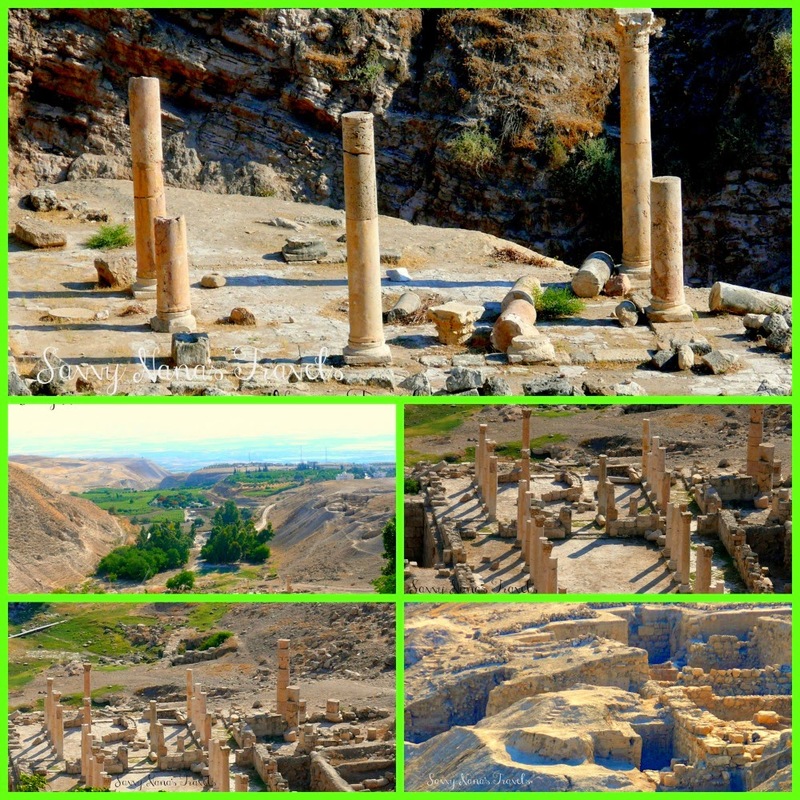 Not far from Umm Qais in the northern part of Jordan is the ancient city of Pella or Tabaqat Fahl. Another one of the great cities of the Roman Decapolis, Pella has been inhabited since the Neolithic Age. The city is said to be a Christian refuge during Jewish-Roman wars in the 1st. Century CE when Jerusalem Christians fled to the city to escape the wars. The city was destroyed by the Golan earthquake in 749. Excavations have been conducted by the University of Sydney and the Jordan Dept. of Antiquities since 1979; much has been revealed but still more remains hidden. The ongoing excavations have uncovered ruins from the Greco-Roman period, as well as the remains for Bronze and Iron Age walled cities, Byzantine churches, and Early Islamic homes and medieval mosque. You can drop by the site for a quick look on the way back to Amman from Umm Qais. Entrance to the ruins are free. There’s a small tea house above the ruins where you can have tea and snacks and get a great view of the excavation; you may even meet one of the archeologists working at the site at the tea house, we did! Umm Al-Jimal is a black city located 87 Km. east of Amman in the province of Mafraq which is just 10 Km. from the Syrian border. Many of its houses, churches, barracks, and forts were built with black basalt stones thus earning the city the nickname “Black Oasis”. 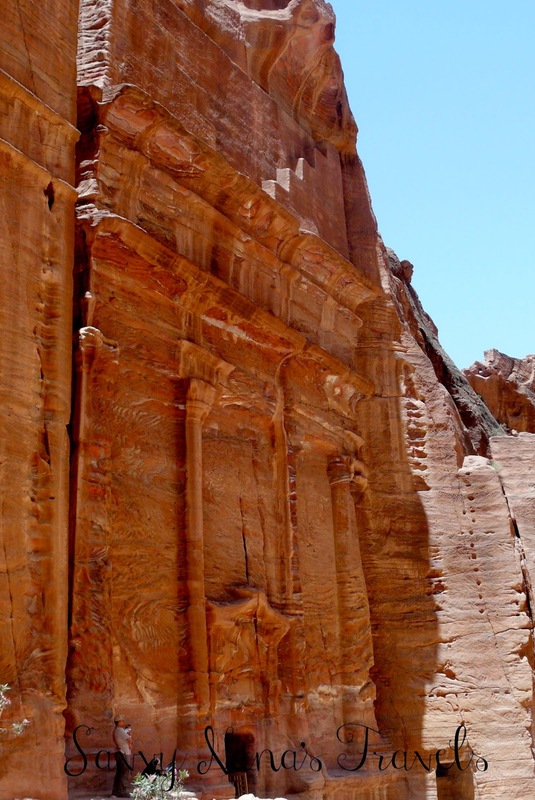 The town’s origins are still unclear, it is believed to have been built by the Nabateans about 2000 years ago when it served as a post for many trading caravans as it is aptly named Umm al-Jimal which means Mother of camels. The town was destroyed by the massive earthquake in 749 which razed many of the great cities in the area. 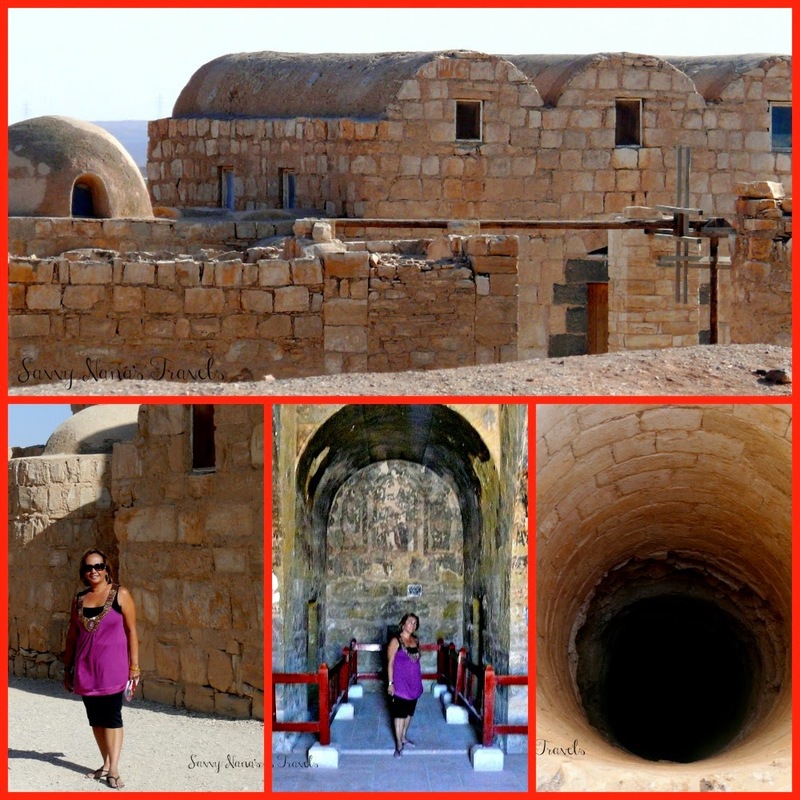 This in my opinion is a less interesting site which can be visited when exploring Jordan’s eastern desert region. We spent less than hour at the site on our way to Azraq and the desert castles. 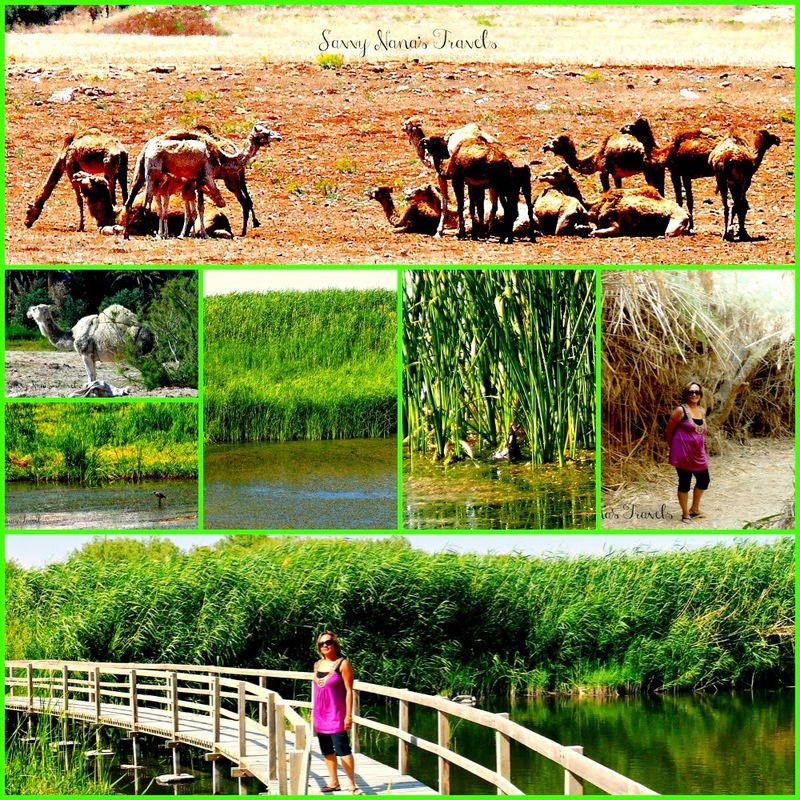 Located in the eastern desert near the town of Azraq is the Azraq Wetlands Reserve. Created some 250,000 years ago the wetlands was once the crossroads for human caravans and bird migration. Millions of meters of fresh water attracted migrating birds as well as caravans traveling between Arabia, Mesopotamia, and Syria. Today due to over consumption the springs have dried up. The Royal Society for the Conservation of Nature established a reserve in 1978 and has been fighting an uphill battle to bring back the birds and water buffalo who have died or gone elsewhere since the water dried up. The reserve is a nice respite when one is doing the Desert Castle loop from Amman. It provides a cool restful oasis from the endless miles of dry hot desert. The reserve has a couple of easy walking trails and a rustic bird hide that overlooks one of the lagoons. There’s nearby Azraq lodge that has a few rooms, a restaurant, and gift shop. There’s also a small museum that narrates the history of the wetlands from pre-historic times to its current dehydrated condition. 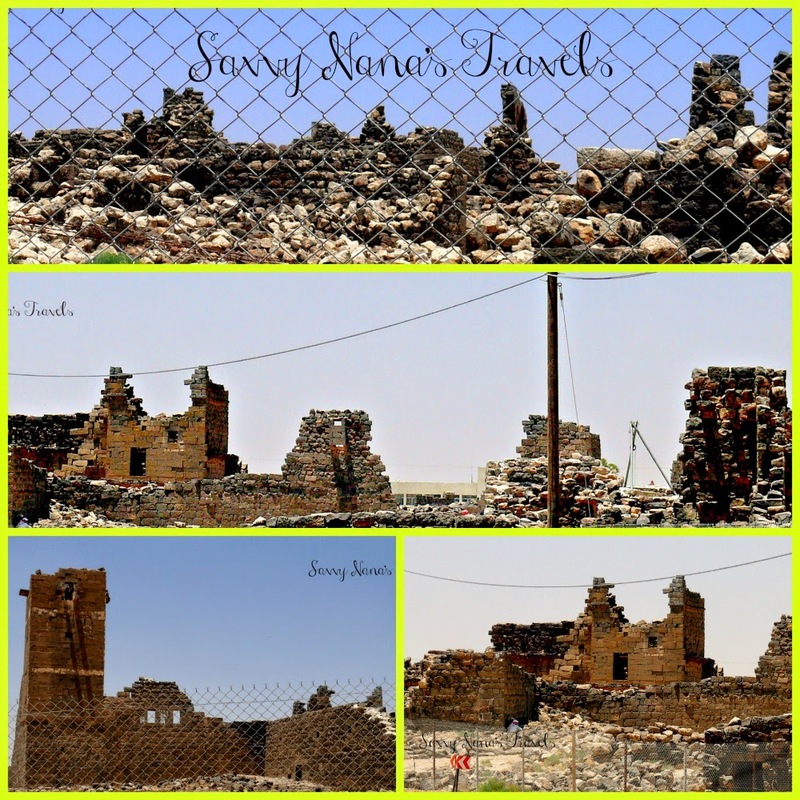 A nice day trip from Amman is the Desert Castle Loop. You can begin the loop heading north from Amman to the town of Azraq where you’ll see 3 castles before you get to the town. (Qasr Al-Hallabat, Azraq Oasis, and Qasr Al-Azraq). In Azraq you can stop by the Shaumari Wildlife Reserve which has earned world recognition for reintroducing the almost extinct Arabian Oryx into the wild, and the Azraq Wetlands Reserve. 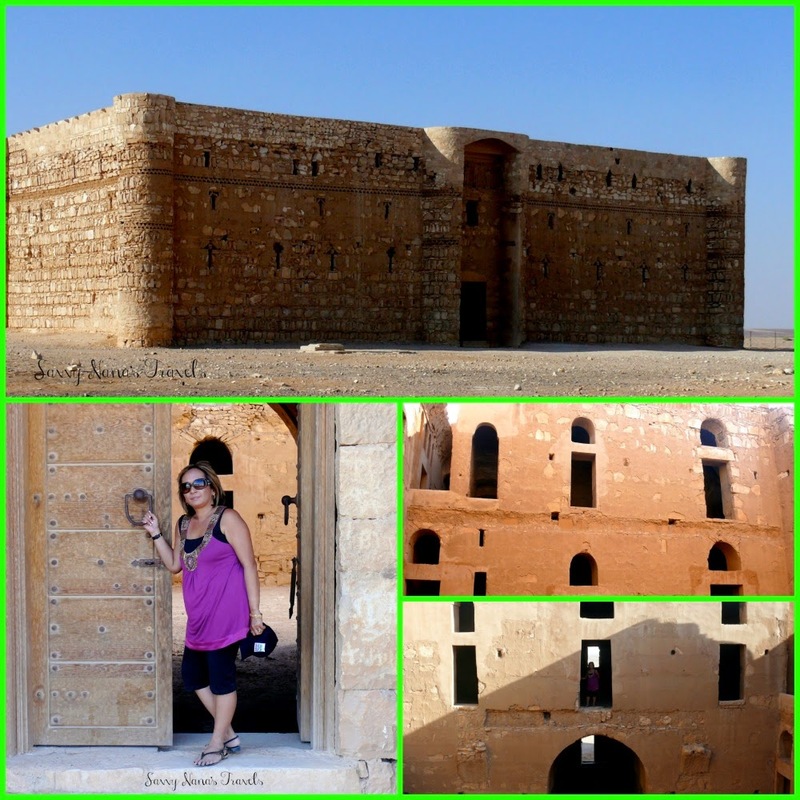 Along the Desert Castle Loop you’ll run into Qasr Amra on the southern highway back to Amman. This is probably the best preserved castle along the route and is a UNESCO World Heritage Site. The castle has a luxurious bath house and is adorned by some well preserved frescoes. It was part of a larger complex that hosted traveling caravans. Entrance to the castles are free. 16 miles west of Qasr Amra is Qasr Al-Harraneh. This castle is an enigma to both archeologists and historians; some maintain it served as a fort; others as a caravansari for passing caravans; and still others say it was a retreat for Umayyad leaders to discuss current affairs. None the less the castle is fairly well preserved and you can spend a half hour or so exploring it’s rooms. You will pass 2 more castles on the return to Amman; Qasr Al-Mushatta and Qastal. The town of Madaba is just 30 Km. south of Amman. Known in the Bible as the Moabite town of Medaba it is mentioned in the Old Testament. 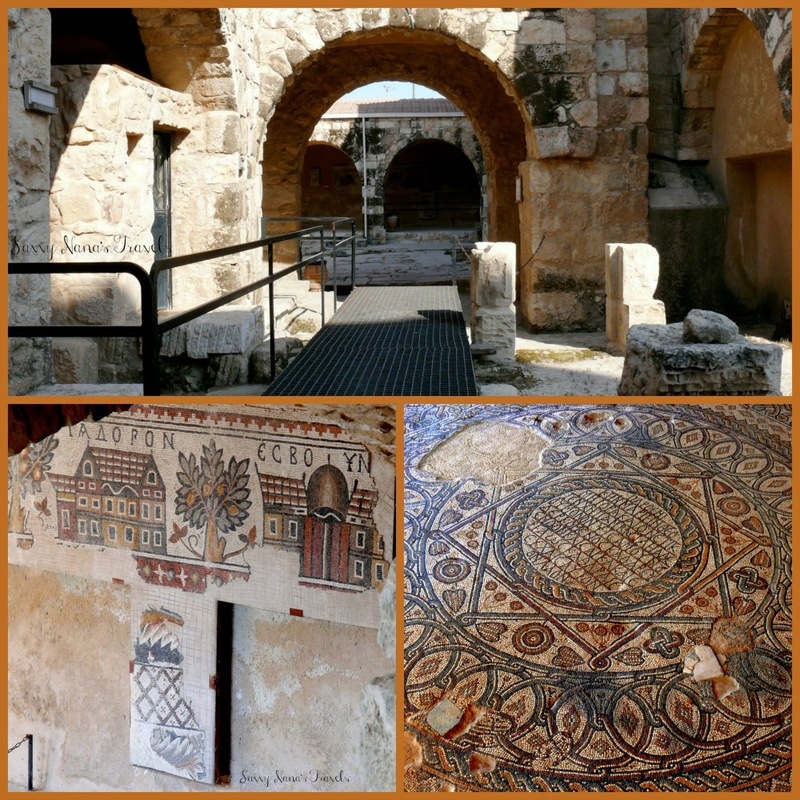 The town is known for its mosaics the most famous of which is the Map of Palestine which adorns the floor of the Church of St. George located in the middle of town. The Church of the Apostles houses the beautiful mosaic Personification of the Sea. The town also has a museum which features many beautiful mosaics and embroidered Jordanian dresses. The town is also known for hand-woven tapestries and carpets. The mountain top has awesome views that includes the Dead Sea, West Bank, Jericho, Jordan River, and on clear days Bethlehem and Jerusalem. Mt. Nebo is a pilgrimage stop where early Christians stopped to pay homage to the “Tomb of Moses”. The Nebo area was purchased by the Franciscan Fathers in 1934. Excavations starting in the 1930s have uncovered a basilica and 6 tombs in caves beneath the basilica floor. Today there is a church and shrine. A stay in Amman would not be complete without a dip in the Dead Sea. The Dead Sea is an easy day trip from Amman or Madaba, but I wouldn’t recommend combining a day in Madaba with a dip in the Dead Sea which can leave your skin feeling itchy and somewhat sticky. Lying over 400 meters below sea level the Dead Sea is the lowest point on earth. 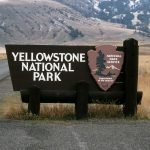 As its name suggests there are no living plants and animals in this body of water. The sea is fed by the Jordan River but it has no outlets. The rapid evaporation of the water has resulted in the extremely high content of salt and other minerals thus making it uninhabitable. The mineral concentration however gives the waters therapeutic properties that have been recognized since the time of Herod the Great over 2000 years ago when it is referred to in the Bible as the Salt Sea. The high salt content makes swimming impossible, the water’s buoyancy keeps one floating too high on the surface making strokes virtually impossible. However don’t be lulled into thinking you can not drown in the Dead Sea; you can, people do every year. 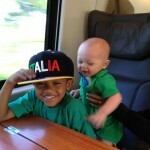 This happens when they try to swim on their stomachs or fall into the water face first. The high water density that makes the water extremely buoyant acts against you if you’re face down; it’s difficult if not impossible to force legs and lower body down to flip over or stand up. Also swallowing even a small amount of the water can destroy a body’s electrolyte balance causing the heart and kidneys to possibly shut down. Floating on your back is really the only option. A day trip to the Dead Sea of course must include a dip into the sea, you can do this at a resort, at a public beach, or a spot along the road with shore access. 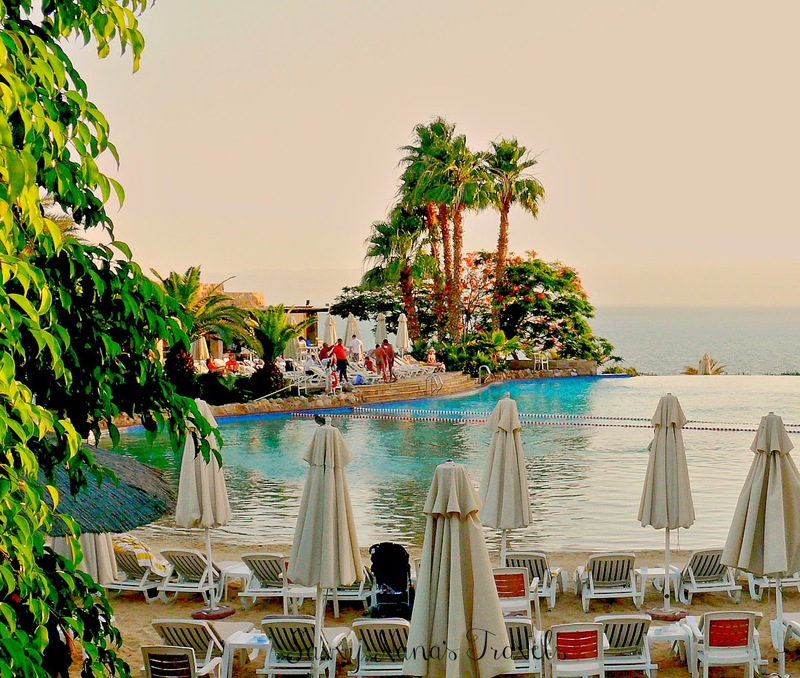 There are quite a few hotels and resorts lining the length of the Dead Sea including Marriot, Hilton, Crowne Plaza, Moevenpick, and Kempenski; all 5 star resorts & spas. There is also the Medical Center that is part of the Dead Sea Spa complex, it is a luxury hotel with a spa and medical center that is recognized in the world as being the first in the region to offer natural skin treatments. Resorts allow non-guests access to their private beaches and the use of their facilities including changing rooms, showers, spas, pools, bars, and restaurants. Expect to pay 25JOD and up per person for a Day Pass. You can of course book treatments and massages at any resort spa and treat yourself to a body wrap, facial, and more using Dead Sea products. 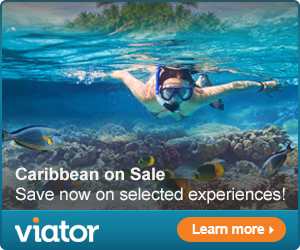 My favorite resorts are the Jordan Valley Marriott Resort & Spa and the Moevenpick Dead Sea Resort & Spa. Day passes at either was 45 JOD per person. Spa prices vary by treatment; appointments can be made directly at the spa on the day of. If you don’t want to splurge for a day pass at one of the resorts you can go to the public Amman Beach about 2 Km. from the hotel zone. Entrance fee cost 20 JOD per person, it includes a towel rental, beach access, use of showers, small child’s play area, and cafes and restaurants. It’s not luxurious but it works. You can dip yourself in the Dead Sea and slather on the mineral rich Dead Sea mud for a DIY spa treatment. Don’t be shy, everyone on the beach is doing it! Do rinse off the mud and salt before you leave as it will cause you to be itchy and sticky if you don’t. If you’re really on a budget you can go to a road side location 20 Km south of Amman Beach and dip into the sea for free. The place is dirty and unkempt but the sea water has the same therapeutic properties as everywhere else along the Dead Sea. There is a small waterfall coming from a hot spring where you can wash off the salt after your dip. There are no facilities at this road side pull out, it’s identified by a couple of small snack kiosks. 1. Don’t shave the day you go or even a day or two before you go. Freshly shaven skin will burn when you touch the salt laden water. 2. Don’t go in the water if you have any cuts or scrapes – it will hurt like the dickens! 3. Don’t get water in your eyes, nose, and mouth – it will burn and it takes a long time to rinse out so it stops burning. If you do get water in your eyes, nose, or mouth rinse with fresh water immediately; continue to rinse until it stops burning. Get medical attention if you swallow the water and start feeling sick, you may be poisoning yourself. The public and private beaches have lifeguards. 4. Don’t try to swim on your stomach; instead float on your back and keep your face out of the water. 5. Wear waterproof footwear. The shores can be pebbly and the sea floor rocky. The beach shores are can also be very hot specially in the summer time when it can be scorching. Also solidified salt and minerals can be sharp and will easily cut or puncture skin which will cause immense pain if you’re in the water. 6. The salt can stain your bathing suit and any clothing it comes in contact with. Rinse suits and clothing out asap after to leave the water. Better yet wear something old so you don’t have to worry about staining it. 7. Wash the salt off your body before you use a towel otherwise salt will stick on the towel and rub off on your skin when you use it later. The salt can make you very itchy.